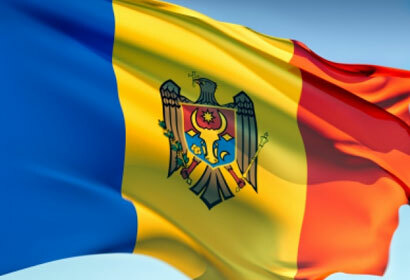 CHISINAU, Moldova — Moldova’s parliament on Friday annulled a recently approved law prohibiting “homosexual propaganda” as it tries to secure entry into the European Union. The law, similar to one recently enacted in Russia, was adopted in July away from public scrutiny and made it illegal to distribute information about homosexuality to children. Under the law, offenders would have been fined up to 8,000 Leu (about $628 USD), and businesses and non-government organizations could have received a possible suspension of activities ranging from three months to a year. In June, the European Commission warned that such anti-gay “propaganda” laws breached the European Convention on Human Rights, which is legally binding on Moldova. A year earlier, in May 2012, the European Parliament had also specifically told Moldova to back away from adopting such legislation. At the time of its passage, European lawmakers and human rights advocates sharply criticized Moldova’s adoption of the law. With the law now annulled, the Moldovan government hopes to initial an Association Agreement at an EU summit next month, a formal step on the road to membership in the European Union. Similar laws exist in Russia (at both federal level as well as in ten regions), Lithuania, and are being debate in Ukraine.